A hundred years ago 70% of all medicines were made from plants. Most of them are still being used today, but only a few people truly know about them. The Pharmaceutical Industry almost made this knowledge obsolete. But in my opinion this knowledge should not be lost. We might need it when things go really bad. So please feel free to share or print this article (or the map) and put it in your bug-out-bag or your SHTF survival kit. The map was printed in 1932 and it was commonly used by pharmacists who were making “vegetable drugs”. The plants shown on this map grow natively or were cultivated in the United States. This map depicts one or two important species that grew in each state, but not exclusively in that particular state… more like in that area or region. Back then, most pharmacists relied almost entirely on their “back yard pharmacy”. 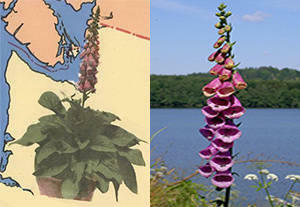 Digitalis is often prescribed (nowadays) for patients diagnosed with congestive heart failure. Digitalis was approved for heart failure in 1998 under current regulations by the FDA on the basis of prospective, randomized study and clinical trials. The drug is called digoxin. Be careful: eating more dried leaves of Foxglove than necessary can be poisonous, due to an excess of the same substance that heals you. An overdose will induce nausea and vomiting within minutes of ingestion, preventing the patient from consuming more. 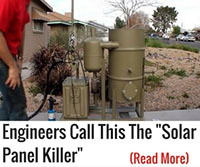 All this information is meant to serve as an advice only when SHTF. If you want to take the “plant drug” now, go to a doctor first to prescribe you the dosages. 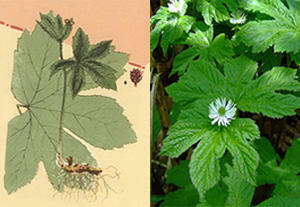 Goldenseal became so popular in the mid-nineteenth century that by 1932, that the herb almost became extinct in the US. Goldenseal has an affinity for mucosa, and is cooling so should not be used if an infection is at an early stage or there are more chills than fever. Avoid Goldenseal during pregnancy, avoid overdoses! 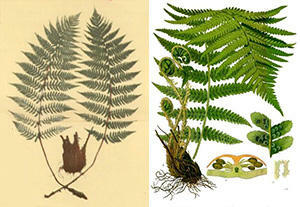 Male fern contains chemicals which kill intestinal worms such as tapeworms. Once the worms have been killed, saltwater (saline) is taken to flush them from the body. Intestinal tapeworm infections usually aren’t complicated, although they cause deaths in the US even with proper medical care. For example, Cysticercosis – a parasitic infection caused by the larval form of the pork tapeworm, who migrated to the brain, spine, eye, etc – can be deadly! And in times of crisis, it is deadly! The downside is that Male Fern is unsafe. It is a poison. You take a normal dosage and the worms die. You take too much… and you’ll have serious problems. The appropriate dose of male fern depends on several factors such as the user’s age, health, and several other conditions. Consult your pharmacist or physician or before using. Henbane contains chemicals, which might relax the muscles lining the digestive tract. Henbane also relieves muscle tremors and have a calming effect. Mainly, Henbane dried leafs were used to treat spasms of the digestive tract. 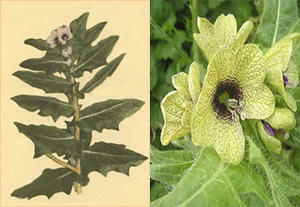 Some people apply henbane leaf oil directly to the skin for treating scar tissue. Since henbane is toxic, the dose must be carefully chosen and side effects checked by a healthcare professional. “Native of Northern India and cultivated in Sub-tropical regions. 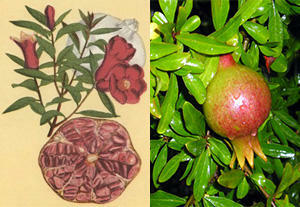 The dried bark constitutes the drug Granatum or Pomegranate Bark”. Pomegranates are not only a delicious food, but every part of the tree has medicinal properties. The bark and root of the tree contain powerful chemicals, that when prepared into a decoction, will safely kill intestinal parasites. It also effectively treats dysentery and it is one of the most powerful treatments for tuberculosis. The fruit is considered a SUPERFOOD, as it is highly nutritious, with vitamin C, A, B2, phosphorous, and quite a few others, and has antioxidant properties. Russians used it after the Chernobyl incident to decrease the symptoms of radioactivity. “Native of Asia and Africa, but cultivated in Tropical and Sub-tropical countries. 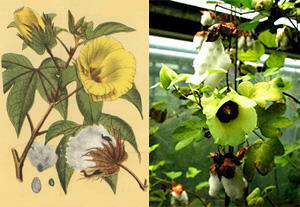 The hairs of the seed constitute purified cotton. The bark of the root constitutes the drug Cottonroot Bark”. Sea Island cotton is considered one of the highest grade cottons for fabrics. 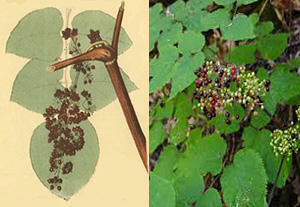 Its leaves and seeds have also been used medicinally since the time of slavery. Female slaves used the leaves to induce abortion and regulate menstruation. The seeds were eaten as a form of birth control. Women would rub the oil of the seeds on their breasts to induce milk production. Extract of the flowers is used by herbalists to treat ear infections. The seeds have been used in traditional medicine internally (directly soaked or as tea) and externally (as compresses or oil extracts) for treatment of disorders of the respiratory tract, eyes, infections, cold, flu or fever. 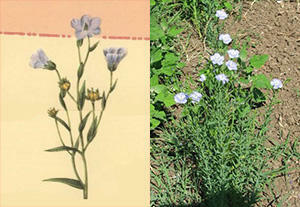 Linseed oil is obtained from the dried ripe seeds of Flaxis by pressing, followed by a stage of extraction. Cold-pressed oil obtained without solvent extraction is marketed as flaxseed oil. 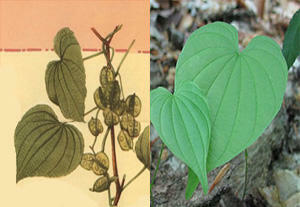 Today components of wild yam are chemically manufactured into the hormones progesterone or estrogen. So it is easy to understand why is often promoted as a “natural alternative” to estrogen therapy for vaginal dryness in older women, PMS, menstrual cramps, osteoporosis or increasing energy and sexual drive in men and women, and even breast enlargement. 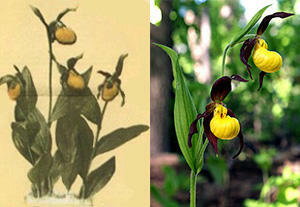 The Cypripediums are rare and endangered orchids. All of the species of Cypripedium resemble valerian in their effects. They are excellent nerve stimulants for weak women and nervous children. They are nevertheless important medicines, being of that type of drugs which silently do great good without marked physiological disturbance. Spikenard is antiseptic, depurative, diaphoretic, which makes it useful in a wide range of conditions including gout, rheumatism, coughs and lung complaints. “Native of N. Central and Eastern US and Canada. 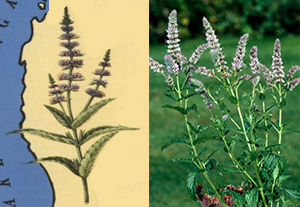 The dried root constitutes the drug Senega or Snakeroot. This plant had many uses among Native Americans. Some used it to treat common colds, bleeding wounds or toothaches. 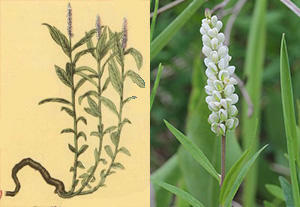 Today, the plant is still in use as a herbal remedy for a wide range of respiratory complains. It is also added to cough syrups, teas, lozenges, and gargles. (Source) It is one of the best natural expectorants: Senega causes a decrease in the viscosity (of secretions), giving a productive cough (or what today’s drug Mucinex does). Spearmint tea reduces the level of free testosterone in the blood, so it is mostly indicated for women. It can also treat a variety of digestive ailments. Spearmint’s essential oil was found to be a pretty effective anti-fungal and antioxidant. The herb is also very rich in minerals like potassium, calcium, manganese, iron (a lot), and magnesium. Potassium is an important component of cell and body fluids that helps control heart rate and blood pressure. 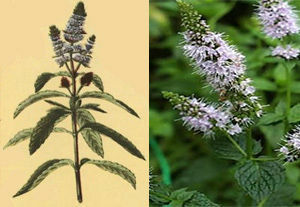 Peppermint is a cross between watermint and spearmint (a hybrid). Peppermint has the highest menthol content (8 times more than Spearmint). Menthol stimulates the cold-perceiving nerves so just after taking it a current of air at the ordinary temperature seems cold. Useful in gastrodynia and flatulent cold. For cramps try boiling peppermint leaves in hot milk. Take a quick whiff of peppermint oil for nausea. “Native of North Eastern and North Central US and Canada. 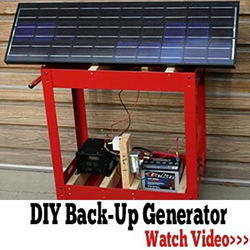 The Dried Inner Bark constitutes the drug Ulmus or Slippery-Elm Bark”. 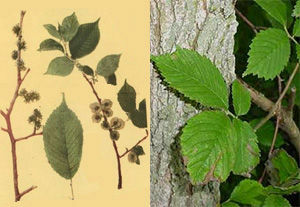 The inner bark of the slippery elm tree is a commonly used herbal remedy. 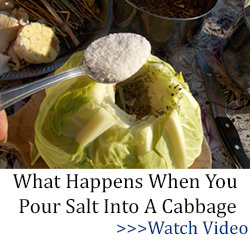 It can reduce the inflammation, stomach pain, and bloating that’s associated with Irritable Bowel Syndrome. It also gently loosens the bowels and alleviates constipation. Slippery elm bark mucilage (the substance that oozes from the bark when mixed with water) has a soothing and coating effect on mucous membranes. It can be used as a healing salve for boils, burns, and any skin inflammation. this is really generous to share with others. I’ve always been interested in natural remedies. Thanks for posting and sharing. Thank you for sharing the Medicinal Plant Map. I hope there will never come a time when this info will be vital. Thank you so much for sharing this knowledge! I appreciate the effort you have made to do this. I am particularly interested in the nature of healing (as well as poisonous) plants in Kentucky & illinois. thanks for sharing, is themap included? Unfortunately, the map is too large to be printed at home (and keep the good quality). The book is much better! I found this to be a very good primer. I was a bit disappointed, though, to see plantain left out, as it has a lot of good medicinal properties. It is plentiful in many areas of the US. Rosehips is another I was surprised not to see. However, as I said, it’s a good place to start for anyone who is looking to get more into natural remedies. 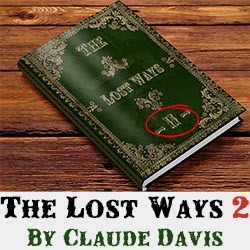 Thank you for the free ebook! 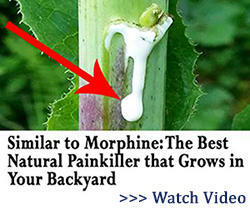 You’re right, there are still a lot of plants with medicinal properties. In the first version I wrote only about the plants in the map. Thank you for your suggestion. As soon as I find a little time, I’ll update the book. In regards to Florida (and not knowing whether it is included in your selections by state : Shepherd’s Needles ” Bidens Alba” (Spanish needles, Butterfly needles) for respiratory passages. Flower may be eaten. Beneficial for throat. Known in Spanish as “Romerillo”. Grows wild, it is most common to find bees pollinating them. I live in the city and it’s the only place where I have seen bees.) Thank you C.D. Thank you for sharing your knowledge! It would be a shame for these remedies to become obsolete. Thank you. Your willingness to share and help others places you on a higher rung of life than most. you please email me a copy. Very thoughtful of him for the downloaded book. Thank you for the book. It’s very generous of you to give it to us free, when it must have taken you so much time and effort to put it togetherf. In your revision, might I suggest Aloe Vera, great for skin rashes and alergies. Very soothing. There are probably as many plants again as you’ve included in the book and the book itself is a wonderful beginning. It would be so good to get a volume two – I know that’s greedy of me, but I’d be more than willing to pay for it. You’ve done such a thorough job on the one you gave us. I’m in Australia, but we have many of these plants introduced here, so they’re available. I’m afraid that where America goes, Australia seems to slide right in there after her, so we’ll be in trouble too.Thank you again. 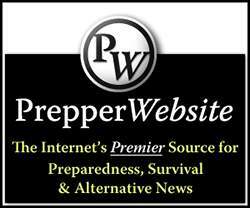 Big fan of the preppers articles. This one is one of the most useful articles I have seen anywhere. Wonderful information. We need to get back to the old ways! Thanks I need to read all I can to learn more about preparing for the next disaster. Is this still available? I am nit able to click the image and get a request for my email. Just let me know of all of your information, I love it. Thank you. Thank you for the book and this article. I am studying the lost arts of healing naturally. Your book will help me along the path. Again, thank you! Yes please send the link for the book. 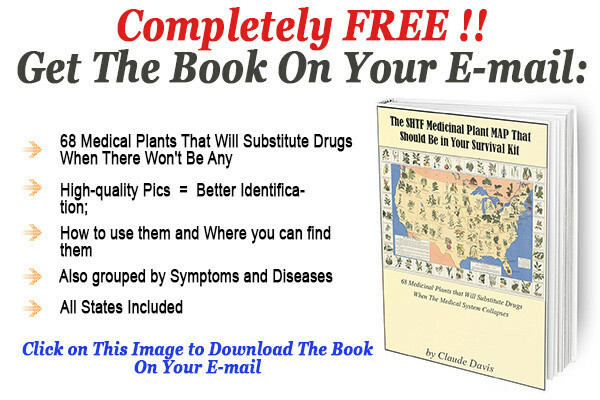 Claude, when I click on the image for the e-book for Medicinal Plat Map nothing happens except that my page returns to the top of the article. I really enjoy your articles and especially your comments (only reason to read them is to see your comments). If you would, email me the link so I can download it, I would appreciate it more than you will know. Thank You.